In many ways, marketing is an art. Finding that special combination of factors that not only cuts through the clutter to reach out to your audience, but also entices them in, and wins their loyalty, is something that is hard to distil into theory. It’s like how a book on how to play the guitar isn’t going to turn you into Jimi Hendrix. But for all the creativity involved in marketing, you can’t get away from the hard science that has to underpin any successful marketing practice. Put simply, unless you can analyse how effective your marketing strategy is, you won’t get very far. In learning how to effectively measure marketing metrics, there’s a lot of smoke and mirrors; marketing consultants want to make their business seem very complex and A Lot Of Hard Work. 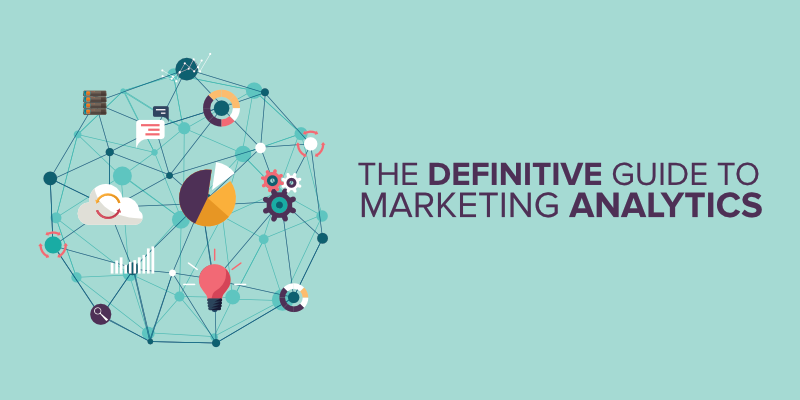 But, in reality, marketing analytics is only as complicated as you need it to be. In this guide we’ll offer straightforward insights on the key metrics to measure, take a look at some of the best tools you can use to track them, and demystify some of the terminology used in the industry. At all points we’re focussed on practical tips that you can apply right away, but we’ll also add in some more “advanced” techniques so this guide will continue to provide value in the months (and years) to come. We don’t expect you to put every technique into practice at once, and not all these metrics will be essential in your industry; use your common sense to cherry pick the tactics that seem useful to you. There’s an old proverb that goes something like, “don’t carry your year’s worth of burdens in one day”; well, if you try to put all these hacks into place at once you’ll probably get confused (not such a good proverb, but I’m a marketer, not a monk). Before you start you’re going to have to familiarise yourself with some of the jargon used by most analytics platforms. We’ll look at some of the key terms and acronyms used in the industry, explain what they mean, and look at how to implement them. These are the essential numbers that marketers track to understand how well their campaigns are progressing towards their goals. This is the percentage of people who clicked on a link after being exposed to a piece of marketing, be it a paid ad, email or web page. For example, if your ad had 100 impressions and received 5 click-throughs, your CTR would be 5% (clicks ÷ impressions x 100). This is a common form of online advertising where you only pay when an ad is clicked on. It’s a great way to “buy” visits to your site and only pay for results. Google AdWords is a much-used PPC service. A crucial consideration of any PPC campaign is the cost-per-click, or CPC. AdWords calculates CPC based on factors such as how many other firms are using the same keywords as you, but the average cost across all industries is around $2 per click. In reality, you’ll probably pay upwards of 200-400% more than that if you are targeting popular keywords. Sometimes called cost per acquisition, CPA is a measure of how much it costs to drive a particular customer action; this could be anything from a sale, to an app download, or a form submission. If you spent £1000 on a marketing campaign and generated 20 actions, your CPA would be £50 (campaign spend ÷ resulting actions = CPA). Conversion rate is the percentage of website visitors that convert into paying customers, app users, newsletter subs, or however you wish to define “conversions”. CRO is about optimising the rate at which customers convert. If you spent £5,000 on a social media campaign and made 20 sales at £300 each, your revenue would be £6000, meaning a ROI of 20%: (£6000 – £5000) ÷ £5000 x 100 = 20%. Let’s say 10,000 people view your blog post, and 8,000 of them leave your site after reading only one page. Your bounce rate would equal 80% (8,000 ÷ 10,000 x 100). There’s more to life than Google, you know. This is a generic term for any search engine results page, be it Google, Bing, Ask and so on. This is not just about the quantity of relationships you build with your customers, but also about the quality of those relationships. It means monitoring users as they go through their customer journey with you, and making sure you manage their needs and expectations at each stage of that journey. Sometimes known as DRA, direct response advertising, this is an advert or piece of marketing content designed to foster a specific action from a reader, such as submitting a form, clicking a discount link, or downloading an app. It’s usually motivated by providing enough content for a user to make a considered decision and followed up by a clear call to action. A call to action is the part where you encourage users to take an action after engaging with your marketing content. B2B blogs often encourage users to download a free whitepaper, a restaurant may encourage users to download their app, marketers encourage people to sign up to their mailing list, etc. Not an acronym, but an essential concept to understand. If refers to Google’s search ranking algorithms that determine which pages get prioritised in Google’s SERPs. For example, duplicate content and linking to low authority sources will hinder your ranking in Google. There are lots of online tools you can use to track your KPIs (that’s a test to see if you read the jargon buster). You can go a long way with the wide range of free tools that are available; from link tracking to measuring user eye and mouse movements, from snooping on your rival’s web performance to finding out which keywords are most effective for them. Check out our post on the best free marketing analytics tools to find out more. There comes a stage when you need to go deeper into the marketing performance rabbit hole, so you might want to check out our list of the best paid marketing analytics tools available. Price plans for paid tools can vary greatly, from under $99 per month to over $600. Some of these tools have limited or trial versions to give you a taste of what they offer. It’s a good idea to start with free tools and then upgrade when you want to take your analytics to the next level. Now we know our CROs from our SERPS, and we can spot a Google Panda at twenty paces, it’s time to look at which essential marketing metrics you should measure. This could be visits to your domain URL, or to specific landing pages for a marketing campaign. It gives you an oversight of how much attention your campaigns are getting. Make sure you are as targeted as possible. A marketing campaign might link directly to your main URL, but that could make it hard to find out which visits came from a specific campaign and which came from other means, such as a blog post that went viral at the same time as you ran your ad. Simple campaign marketing trick: One way around this is to create URLs to landing pages that are specific to a particular ad. So a promoted Tweet offering a discount might link to the landing page yoursite.com/twitterdeal, and a PPC ad might link to yoursite.com/ppcdeal. This would mean you could easily measure total visits generated by each marketing campaign. 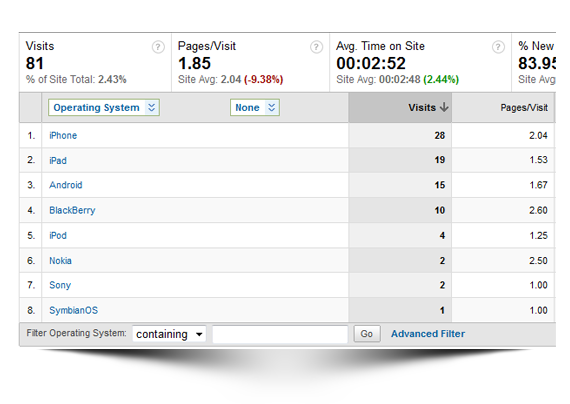 A new session means a new visitor to your site versus how many users represent repeat visits. This will show you how “sticky” your site is; are people getting so much value out of it that they keep coming back for more, or is their brand discovery journey leading them out of your orbit? A measure of how many people clicked on other links after visiting your site, and how many left without taking any further action. Bounce rates vary across industries and across web pages; the more effort and investment an action requires, the higher the bounce rate is likely to be. A landing page will have high investment links such as payments and email subs and so has higher bounce rates, compared to a content site where users are simply clicking on other posts they want to read. Conversions are any specific goal set by marketers, from signing up to an email list to checking out at your online store, or downloading an app. This is another Big Picture metric and gives an indication of the overall performance of your campaign. It also helps you discover any chinks in your armour. Fantastic marketing campaign + rubbish value proposition = Big Nothing. Also known as a “closing ratio”, this is a measure of what percentage of leads generated by your campaigns are translating into actual sales. It’s a crucial part of calculating your marketing ROI. A measure of the total number of people talking about your brand on social media. Facebook Insights, for example, measures this metric as “people talking about this”. If you keep an eye on how your brand volume changes this can help you identify if there are particular times when lots of people are discussing your brand. These points would be a good time to post new content or introduce a new product line. You can use HootSuite to track brand volume. This figure refers to the amount of times your posts showed up in someone’s newsfeed or timelines. Either click the graph icon next to individual tweets, or visit https://analytics.twitter.com whilst logged in to the account you wish to analyse. This will give you a summary of your performance over the last month so you can see which way metrics are moving. 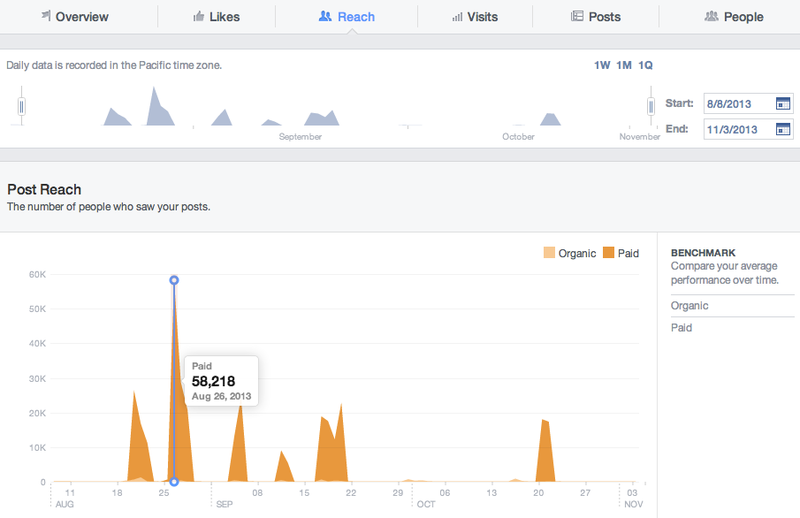 Go to the Insights tab on your Facebook page and then select the Reach icon in the centre of the screen to get a visual lowdown on your page’s reach. Your website should be the eye of the storm of your marketing efforts. They say all roads lead to Rome, well all social media accounts should lead to your website (that’s just not such a snappy line). You can use a tool like Google Analytics to discover how many referrals your site is getting from social media. It’s important to understand which social platforms generate the most site traffic. This will vary depending on your industry. A cafe or hair salon might get more referrals from Instagram than from Twitter, whilst a B2B company might get more referrals for business-orientated platforms like LinkedIn. This is a measure of how the social media buzz around your brand compares to your competitors. This can be very tricky to measure manually, so a good way to track this is to use a mention tracking tool like Mention or Hootsuite Pro’s “compare keywords” module. Mention will also compare your share of voice against your competitor’s. Don’t panic if your competitors are doing better than you; it means you have space to grow. Look at what they’re doing with their marketing and see if you can learn from their strategies. In many ways, this is the most important social media marketing metric. Most of the other metrics we’ve looked at are measures of quantity; how many followers, how many impressions, etc. But engagement is about quality. How are people engaging with your brand on social media? Are they sharing content via retweets and posts, or are they interacting with you via comments and replies? If it’s the former you might want to focus on having a steady stream of shareable content, if it’s the latter you can focus on responding to interactions, moving people further into your sales funnel, and aiding them on their customer journey. Given that smartphones are more regularly used for browsing the internet than desktops, measuring mobile marketing metrics is as essential as having a mobile-friendly website. This is another Big Picture metric to give you an overview of the mobile performance of your campaigns. You should make a distinction between desktop and mobile visitors. It may be that your desktop campaigns are performing well but mobile is lagging behind; lump all your metrics together and you won’t notice that. People practically live on their phones these days and so mobile marketing is increasingly about responding quickly to user interactions. If you run a promoted Twitter post it’s likely to generate rapid responses as people retweet and reply; this is often a spur of the moment thing; there’s no use responding the next day, as your content will no longer be fresh in the info-drenched minds of mobile users. No matter how good your app is, churn is pretty much a fact of life; it’s a numbers game, so you need to secure as many downloads as possible to have a fighting chance. Use Play Store and App Store reports to monitor where the downloads are coming from. This will help you track how effective your app marketing efforts are. Behind every app install is a user. You should keep a close eye on users both new and old. Break down the data into Daily, Weekly, and Monthly Users (that’s DAU, WAU and MAU in the lingo) and segment users into demographics and by their stage in the customer journey. Use these metrics to work out which users engage with you and on what level. Regular users can be targeted for in-app promotions, whilst lapsed or infrequent users could be targeted with a nudge email to encourage them to make the most of your app. Retention is where you keep users, churn is where you lose them. It’s best to see this metric as distinct from number of downloads, because that won’t tell you if people are actually using the app. Retention is not about how many new users you get in a given period, it’s about how many existing users continue to use your app. A common form of retention measurement is Day 30 retention; this is a calculation of how many people continued to use your app a month after they first downloaded it. Day 1: Number of users using your app one day after they installed it/first logged in, or however you’re measuring use. Day 30: The number of users still using the app after 30 days. This is now a benchmark to which you can compare other periods. If 60 of your 100 users were still using your app at the end of the first period, and only 50 out of 100 were using your app at the end of the second period, you would divide Period 2 by Period 1 to get your month on month retention rate. So in the example above it’s 50 ÷ 60 x 100 = 83% retention rate. Your churn rate would be the remaining 17% (basically 100 – your retention rate). What marketing campaigns are you currently running? What are your goals for each campaign? Is it to get customers to your ecommerce store, encourage downloads of your app, or get people through the door of your hair salon? Once you know your goals, ask yourself how you are going to measure success. Once you know that, you can start looking for the right tools to track those metrics. Once you know which one or two stats to track, work out how long you need to measure them to get useful results. This will depend on the length of your business cycle, which will influence whether you need to track metrics by day, week, month, quarter, etc. You may find that some metrics need to be tracked weekly and others monthly. Work out what makes the most sense for your brand. Once you have a big enough dataset to track trends, it’s time to make changes to boost your metrics. There’s no need to go back to the drawing board; it’s often better to make one or two changes to your campaign and see what difference it makes to its performance. If you change too many factors you won’t be able to tell what techniques worked and which didn’t. If it ain’t broke, don’t fix it. At the end of the day, you should think of metric tracking as a journey, not a destination. There will always be more ways you can track performance, and new analytics tools pop up like mushrooms. But as we said before, marketing measurement is only as complicated as you need it to be.